Front to back - Paper Towns by John Green, Once by Morris Gleitzman, It's Not Summer Without You by Jenny Han, Starter For Ten by David Nicholls, The Fault In Our Stars by John Green, Pretty Little Liars by Sara Shepard and The Sky Is Everywhere by Jandy Nelson. Paper Towns by John Green is easily in my top 5 favourite books as it's just amazing. It's heart-warming, hilarious and emotional, and the whole road-trip side of it makes it a really fun read. I LOVE road-trip books! The characters are all wonderful in their own way, and John Green develops them all incredibly well. There are no one-dimensional characters and you get to know them all throughout the book. My favourite character is Ben, closely followed by Q. John Green is such a good author - definitely my favourite - and his writing style is beautiful and effortless. Highly recommend. It's Not Summer Without You by Jenny Han is the second book in the summer trilogy (which you can win here) and is a wonderful, light-hearted summer read. Jenny Han has a real talent for developing characters that the reader will love (or hate...), and she created a great love triangle in these books. You've gotta love a good love triangle. :D Like I said many times before, I seriously love Jeremiah Fisher. I developed a real attachment to him in these books and rooted for him from the start. I won't give anything away but yeah...Jeremiah Fisher. 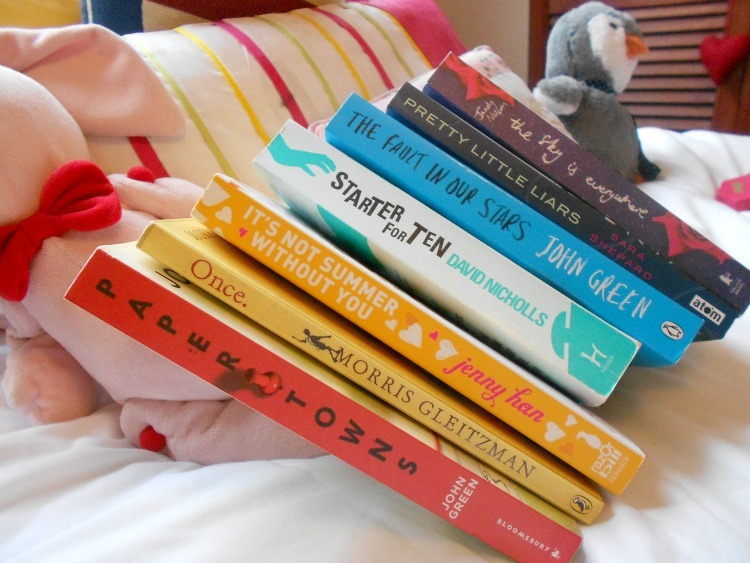 ^____^ These are my favourite summer books and I read them every year without fail. Pretty Little Liars by Sara Shepard is the book that the awesome TV show was based off of (well one of them...it's a big series). I've only read the first but it was really enjoyable! It's not written all that well but the characters and plot are great; really imaginative and gripping. It's a quick read and I'd definitely recommend it, especially if you've seen the TV show. This tag is definitely much harder than you would think! I was exactly like you and kept replacing and re-organising my picks. I really love the tag idea though!